I’ll be the first one to say it that the bundles available over at Fanatical in recently were less than impressive to say the least. But now they’re bringing us the mother of all bundles with a ton of amazing games offered at a massively discounted price. You know how much I love bundles because they give me the chance to play wonderful – and usually indie – games by paying peanuts instead of buckets of cash. 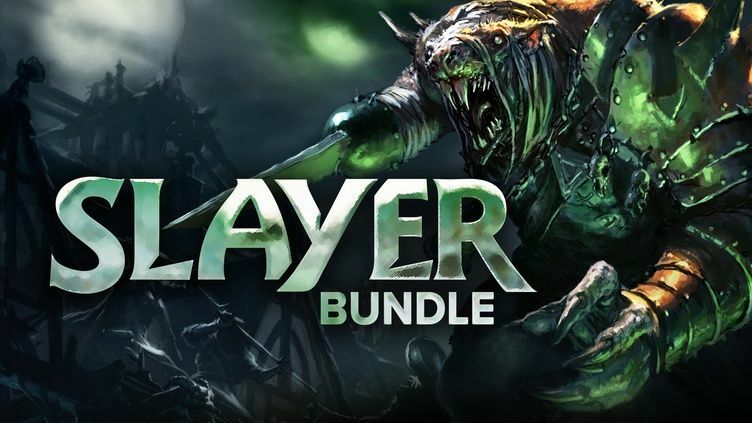 And this Fanatical Slayer Bundle is not only a steal, but a must buy for gamers worldwide. Offering you discounts of over $300, the Slayer Bundle comes packed with 17 high quality games that you owe it to yourself to play. Even the lowest tier bundle selling for 1.05 Euros (or equivalent in USD) has some really good games: Styx: Master of Shadows, Soulblight, Mooseman and Carmaggedon: Max Damage. These are awesome games to get for less than the cost of an espresso. If you decide to pay a bit more – €5.19 to be precise, you also unlock the tier 2 games which are equally impressive. You’ll get the chance to enjoy some WWII FPS action with Day of Infamy, enter Warhammer’s decimated Empire city in Mordheim: City of the Damned and fight for survival in Savage Lands where other players can help or usually kill you. You also get city-building sim Tropico 5, the open world action game Sky Break, parkour platformer Super Cloudbuilt and more. Finally, if you want to get the top tier – for just €7.19 you get 5 extra games to the ones listed above. Must play games, too, such as the complex RTS Medieval Kingdom Wars, action adventure game Bombshell (with a beautiful female protagonist, too), sci-fi action RPG Songbringer, mystery adventure game The Painscreek Killings and narrative-driven adventure The Lion’s Song. All in all, this is indeed one of the best bundles I’ve seen in recent times with amazing games. It’s a steal and a must buy, so if you don’t own most of these games already, head over to Fanatical and get your copy today. It’s worth it!